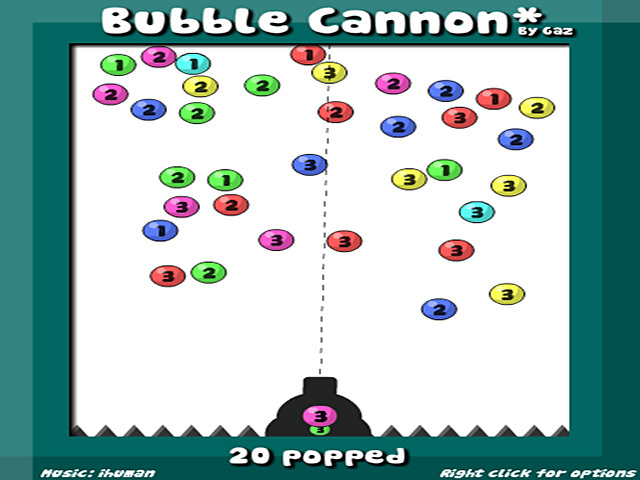 Launch bubbles into the air and burst them with like-colored bubbles in this effervescent online Arcade game!Burst bubbles with cannon power!Launch bubbles into the air and burst them with like-colored bubbles in this effervescent online Arcade game! 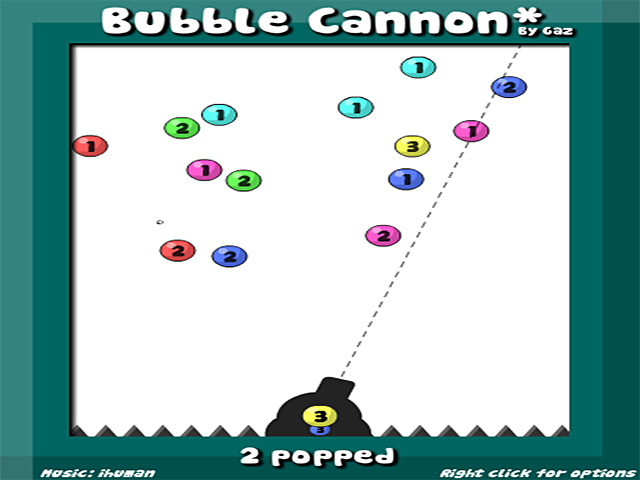 Bump and ricochet bubbles into one another to tick down their counters and bust them before they float onto the spikes below. 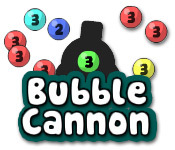 Control the cannon with the mouse and blast bubbles with a left click. 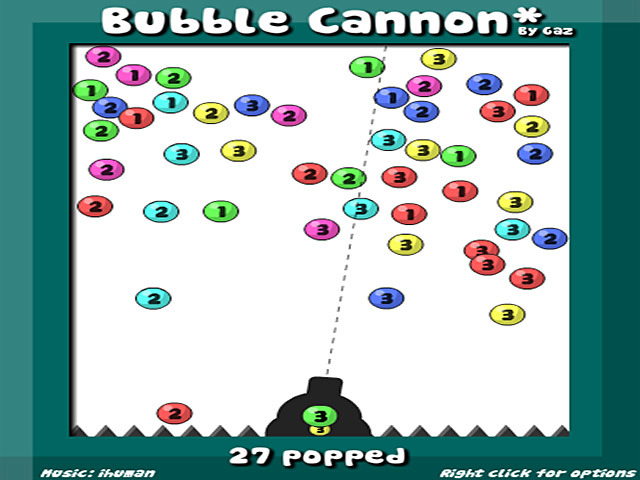 Fill your day with colorful, volatile bubbles in Bubble Cannon!